A mp3 player is a portable device that can play songs. Some of famous mp3 players are Apple iPod and Microsoft’s Zune. A recent research has shown that most users of the mp3 player do not know how to transfer songs to a mp3 player. Such people seek assistance from friends who know to do it. Some people don’t mind to shell out a few bucks to get the song transferred to their mp3 player. If you do not know how to transfer songs to a mp3 player, we will help you with simple steps so that you can transfer songs to your mp3 on your own without asking anyone to do it for you. Connect one end of the USB cable to the mp3 player and the other end to the USB slot of your computer. Open ‘My Computer’ and a new drive will be shown out there. Double click and open the drive. 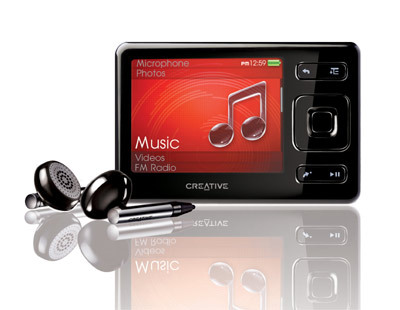 Depending on the manufacturer of your mp3 player, you may find a dedicated for music such as ’music’ or ‘songs’. Open another My Computer and go to the drive where you have stored the music files. Select the songs that you want to place in mp3 player by right-clicking on the selected music files and then paste it inside the drive/folder of your mp3 player. This way you can add more songs to your mp3 player. Every mp3 player has a certain storage capacity limit such as 1GB, 2GB or more. Make sure you are able to copy your favorite songs within this limit. Get a memory card reader and connect it to the computer by means of the USB cable that came with memory card reader. Place the memory card inside the reader and wait for the computer to read it. Once it is done. You can continue with Step2 and Step 3 that are mentioned above in the ‘Transfer songs via USB cable’ section. Install Apple iTunes on your computer and add songs from your music folder to the music library of the iTunes. Connect the iPod to the computer via USB cable.